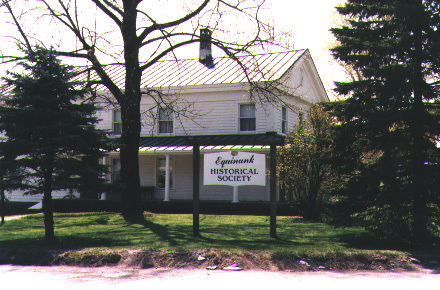 The Equinunk Historical Society began with a series of organizational meetings starting in March of 1981, with the stated purpose of bringing together those people interested in the history of Equinunk, Stockport, Dillontown, Lordville, and surrounding areas of northern Wayne County, and to discover and collect any material which may help to establish or illustrate the history of the area and provide for the preservation of such material and for its accessibility as far as may be feasible, to all who wish to study or examine it. By June of 1981, the fledgling society had acquired incorporation as a non-profit corporation in the State of Pennsylvania and had over 100 members, with Robert Kramer, Robert Wood and Gayle Warner as official incorporators. The first annual membership meeting was held in September of that. year, with Robert. Wood elected President and the following elected as the first board of Directors: Wellington Lester; Robert Wood; Robert Kramer; Patricia Christian; Eleanor Keesler; Ruth Price; Audrey Price; Gayle Warner and Kathleen Wood. Early meetings of the Society were held in the Equinunk Methodist Church. The Society immediately began collecting local history material and having public educational programs, and by the time the first year had passed, there were 162 members and the beginning of genealogical files, a cemetery inventory, and a survey of archaeological materials in the area had begun. Unfortunately, an attempt to save the Stockport. 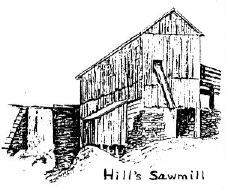 gristmill failed, and this valuable relic of an age past was lost forever. The tradition of the annual Christmas Open House began in 1982 at the home of Gordon and Madelyn Houghtaling and has continued each year since. 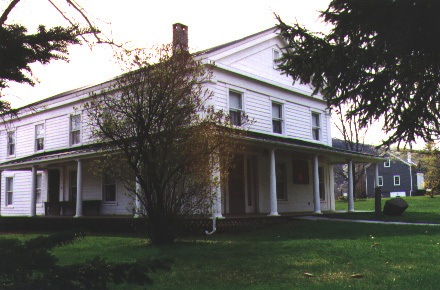 In April of 1983, the Society was given the opportunity to purchase the historic Calder home in Equinunk for use as a museum and by June of that year the property was deeded to the Society. 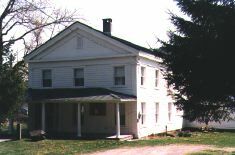 Permanent exhibits of American Indians, textiles, farm and household tools and equipment, and a room devoted to the Samuel Preston estate at Stockport are maintained for public education and enjoyment. Each summer an extensive series of educational programs is presented, based upon a theme for the season. Such subjects as the armed forces, agriculture, railroads, one-room schools, weather, American Indians, and bridges and old time enterprise have been presented, with special displays devoted to the theme. 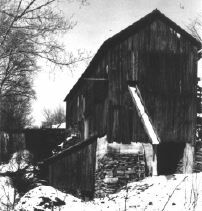 In addition, extensive research material pertaining to genealogy, property records, census records of Wayne and Pike Counties (in Pennsylvania) and Delaware and Orange Counties (in New York), early local newspapers on microfilm, social security death records, and a photo collection are all available for public use. 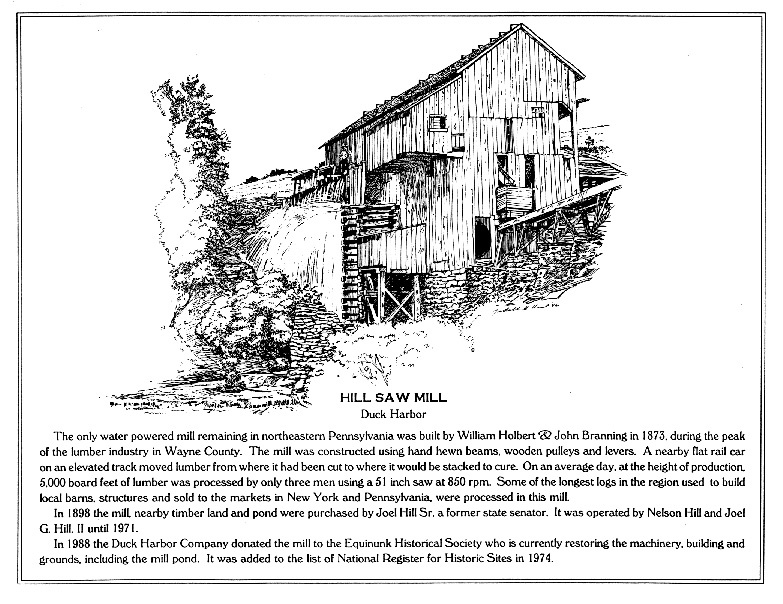 In 1988 the historic Civil War era Joel Hill water powered saw mill was donated to the Society. 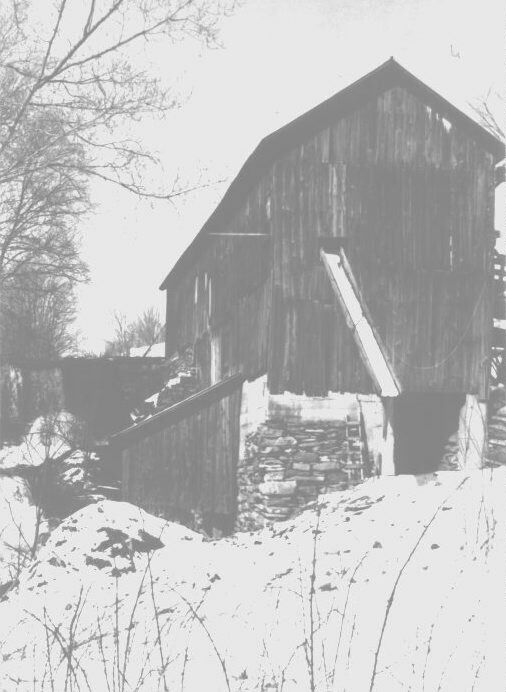 Added to the National Historic Sites Register in 1974, it is the only water powered sawmill remaining in northeastern Pennsylvania. 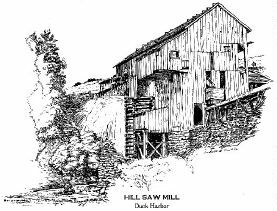 By July of 1994, the mill had been restored to operating condition, and twice yearly open house events demonstrate to the public sawing of logs into boards by the power of running water. Recently with the installation of an authentic metal roof, new furnace, renovation of the windows, removal of asbestos siding and painting of the exterior, state-of-the-art computer system with on-line capability, and interior renovations, the Calder House Museum is gradually becoming a showpiece and research center for the community and area. Black-and-white photo of Hill's Sawmill courtesy of Stan Pratt. Check out a page of photos of scenic Equinunk! This page maintained by Aron Meltzner. Created 31 July 1998. Last modified 28 June 1999. This page has received visitors since 31 July 1998.